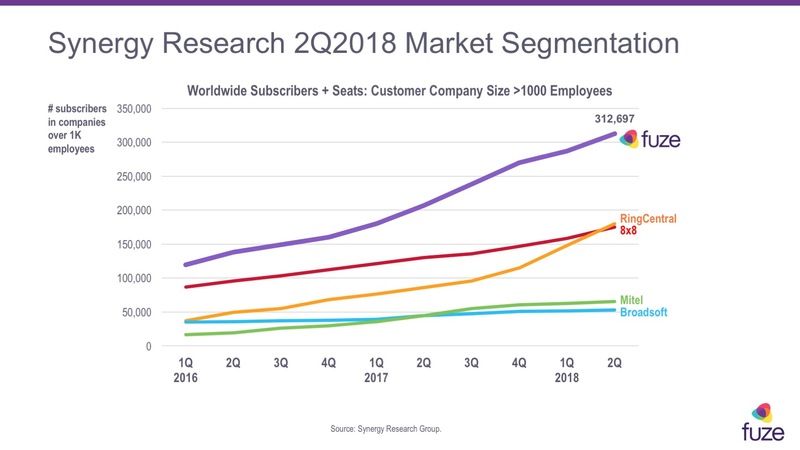 Fuze, the leading cloud-based communications and collaboration platform provider for the modern global enterprise, today announced that Synergy Research’s Unified Communications as a Service (UCaaS) market tracker, a quarterly report from the independent research firm, ranks Fuze as the #1 UCaaS technology platform among large enterprises with 1,000+ employees. Fuze strengthened its global partner program and expanded relationships with leading SaaS companies that service the enterprise like AppNeta and Okta. Additionally, as an eminent voice in the conversation around the future of work, Fuze released the Workforce Futures: The role of people in the future of work survey, highlighting changes in employee attitudes around the need for a ‘work-as-a-service’ approach.